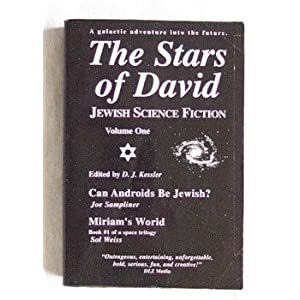 Judaism is a "science fiction" religion. Viduy is a concept that is no longer easily accessible to the mind of a modern man. He resists it. The process driven essence of modern life, where everything constantly changes and evolves makes the modern man impatient with the past and feeling that past does not truly matter. Teshuva begins to mean, " a change of course", an recognition that a behavior did not work and that a change in behavior or approach is needed. We tend to see teshuva as a change in direction, much in the same way that a CEO of a modern company perceives mistakes made - as a learning opportunity that moves his business forward. To a modern man there is no need for a sense of shame or regret that teshuva subsumes according to classic sources. There is nor reason to get emotional or to take it hard. We live and we learn and we change - that's life. The requirement of Viduy as a part of teshuva stubbornly resists this characterization of Teshuva. It implies that repentance is something more than a change in direction. Is there a way in which a modern man can relate to Viduy? The word is usually rendered as confession but it is certainly not a confession in the Catholic sense, although that concept often interferes when we try to understand what Viduy is. I think that a better translation of the word Viduy in the context of Teshuva is Apology. Unlike confession, Apology is a prominent and increasingly visible part of modern life. Politicians do it. Countries apologize for mistreatment of minorities and business executives apologize for insulting their customers. The average number of news stories about apologies printed every year in major newspapers in now just under 400. Apologizing has become the accepted way of dealing with personal errors as well. It is a topic to which increasing attention is being paid. I am currently reading the book "Apology", an excellent treatment of apology in media, business, government, popular culture and private life. Apology is "in". One feature of Apology is that it requires a complete recognition of fault, or it is not effective and makes things worse. "I am sorry that you were upset", or , "I regret that you saw it this way", simple does not cut it. An effective apology leaves no doubt that the deed will not be repeated and an expression of sorrow, shame and guilt goes along way to its acceptance. The most effective apology is coupled with restitution, or at least an offer of restitution. All these are features of Teshuva, which is why the model of Apology, to me, is a fruitful way to analyze both Viduy and Teshuva. 1)If one transgressed any commandment of the Torah, whether a positive or a negative one, whether deliberately or accidentally, then when one repents one has to confess verbally to God, for it is written, "When a man or a woman commits any sin that people commit...then they shall confess their sin which they have done". This means verbal confession, which is commanded positively to do, and is performed by saying, `O Lord, I have sinned, transgressed and rebelled before You, and have done such- and-such, and I am ashamed by my actions and will never do it again'. This is the main part of verbal confession, and expanding on it is praiseworthy. A sin- or guilt-offering when brought because of sins committed either deliberately or accidentally are of no effect unless the person bringing it repents and confesses verbally, for it is written, "...that he shall confess that he has sinned in that matter". Similarly, capital and corporal punishment do not atone unless the recipient repents and confesses verbally. Likewise, if one does financial damage to someone one is not forgiven unless one repents and resolves never to do it again, even if one paid back the money, for it is written, "...any sin that people commit". 2) The goat sent to Azazel on the Day of Atonement is an atonement for all of Israel. The High Priest confesses verbally over it for all Jews, as it is written, "..and confesses over it all the iniquities of the Children of Israel". This goat atones for all transgressions of whatever severity of any of the Torah's commandments, whether they were committed deliberately or accidentally, whether the transgressor had confessed or not, provided that the guilty parties had repented, for without repentance the goat sent to Azazel repents only for the less-severe transgressions. Severe transgression are those which a Court of Law can punish by death, or which carry a penalty of excision, and also false oaths and falsehood, even though they do not bear a penalty of excision. Transgressions of negative commandments or other transgressions the transgression of which does not carry a penalty of excision are considered less-severe. An apology is most effective when accompanied by restitution and evidence of financial sacrifice to make amends. Hence the importance of atonement to the teshuva process. It is also why Rambam lists atonement right after viduy. May we be zokhe to teshuva shleima this Days of Awe! Not all who engage in trading become wise. Here we learn that not all who engage in trade become wise. This means that some do not but some do. If such is the case, isn't it important to tell us who does and who does not? Or, to put it differently, we all know that every rule has exceptions, so what does telling us that not all traders become wise actually tell us? You could suggest that there may have been a time when everything that traders did was right and good. In the end of the 20th and the beginning of 21st century, especially in Russia, people believed that poets were inspired and that everything that a poet or a writer said, was beautiful and true. Perhaps, there was a time when everything business people did was right and wise. I can see how a traveling buisness person, who had seen places and cultures beyong imagination of the simple farm folk, could be considered the repository of all wisdom. For such a time, teaching us that sometimes traders are not wise is enough to break the spell. This is not the only place in which Chazal comment on merchants and wisdom. Rashi here brings the verse in Devarim 30:13 that says that Torah "is not beyond the sea". Sifri comments on it: "(Torah) is not with those who go beyond the sea to trade". "trading". In Mishlei 32, the woman of valor is referred to as "merchant ship that brings food from a far". This refers to a Torah scholar who explains one place based on another place. Another way that this is expressed is to say that words of Torah are poor ( a play on the word Aniya, which meeans both "poor" and "ship") in one place and rich in another place.(Tos. Krisus 14a from Yerushalmi Rosh Hashana 3:5)). He explains that there exists a method of study that brings faraway analogies from seemingly unrelated sources to make a novel case. This method of study is not always the wisest. If we translate the language of Sefas Emes into contemporary epistemology, we come to a distinction between being clever and wise. Some people are clever and others are wise. Some are even clever and wise at the same time. Jews are a clever people. They always look to find a way to go from Boston to New York by the way of Chicago. Jewish propensity to be clever, says the historian Paul Johnson, makes us a subversive force and an agent of change in most societies. Gentiles tend to think linearly while Jews are non-linear thinkers. Sometimes this is good; sometimes it is bad. Our yeshivos teach cleverness. Sometimes, cleverness comes at the expense of common sense. Cleverness can lead one to counter-intuitive conclusions, good in theoretical physics, not so good in most life situation. Cleverness does not know how to evaluate bright thoughts, to weigh and evaluate them, to decide whether to accept or reject them. It grasps onto the novel and elegant and abandons and despises the simple and sensible. Many Torah scholars are clever but few are truly wise. Merchants succeed because they are clever. Wisdom is not a necessary ingredient for buisness success. It is enough to be clever, to figure out a marketing gimmick, a competitive advantage, another distribution scheme, how to shuffle around income and liablities. Mercantile experience can teach cleverness but not necessarily wisdom. Merchants, of course, can be wise---sometimes, not by virtue of their specific business experience but because of their general life experience. This is what the mishna teaches us. Not all traders are wise. Understand the distinction between clever and wise. They criticized Moshe in the camp, Aharon the Holy One of Hashem (Tehilim 106, 16). Moshe was separated and apart from people, so they criticized and said that he should be more "in the camp". Aharon loved and pursued peace and was wholly in "the camp", so they criticized him and said that he should be more apart and separated from people. Names are interesting. Sometimes they tell us much about the person who carries the name; at other times they can guide us to what he or she likes. In Tanach names are certainly reflective of their bearers. For example, Esav has a name indicating his physical appearance (Genesis 25:) and is also called Edom (red), alluding to his violent tendencies, that he sheds blood. Moses's name reflected how the daughter of Pharaoh drew him from the Nile (Exodus 2:10). Noah's birth was accompanied by the aspiration that the newborn would provide comfort "from our work and from the toil of our hands, because of the ground which God cursed" (Genesis 5:29). There are countless such examples. We learn from a verse that names "determine" (Berachot 7b) and the gemara gives us concrete examples, such as the meaning of Reuven and Ruth. The Sages certainly believed that names tell us much about people (Yoma 83b) and they conducted themselves in accordance with this belief. RABBI Meir, Rabbi Yehuda and Rabbi Yosi were once on a journey. Rabbi Meir was always particular about the names of people, but Rabbi Yehuda and Rabbi Yosi never bothered about them. They once came to some place and looked for lodgings, which they found. They asked the innkeeper what was his name and he said: Kidor. Then said Rabbi Meir, I gather that he is an evil man, for it was said: (Deut. xxxii, 20) For they are a very forward generation (Kidor). Rabbi Yehuda and Rabbi Yosi entrusted to him their money, but Rabbi Meir did not. He hid it in the grave of that man's father. The innkeeper dreamed that some one said to him: Go and take the purse that is lying under that man's head. The next morning he told them about his dream. Said they to him: A dream of a Sabbath night has no meaning. Thereupon Rabbi Meir waited the whole day and took away his purse. The next morning they said to the innkeeper: Give us our purses. He answered that he knew nothing about them. Then Rabbi Meir said to them: Why didn't you pay any attention to the name? They answered:—Why didn't you call our attention to it, Master? He replied: I considered that one ought to be suspicious, but I did not consider it a certainty. Thereupon they asked the innkeeper to go with them to a shop where they noticed lentils in his beard. Whereupon they went to his wife and gave her this as a sign that he had ordered them to return the purses, and they received their purses. When he returned home he killed his wife...... From then on they too paid attention to names. Once they came to the house of a man named Balah, they did not enter the house, for they said: He must be an evil man, for it is written: (Ezek. xxiii, 43) Then said I unto her that was old in adulteries (Balah). From the perspective of implicit egotism people should gravitate toward others who resemble them because similar others activate people's positive, automatic associations about themselves. Four archival studies and 3 experiments supported this hypothesis. Studies 1-4 showed that people are disproportionately likely to marry others whose first or last names resemble their own. Studies 5-7 provided experimental support for implicit egotism. Participants were more attracted than usual to people (a) whose arbitrary experimental code numbers resembled their own birthday numbers, (b) whose surnames shared letters with their own surnames, and (c) whose jersey number had been paired, subliminally, with their own names. Discussion focuses on implications for implicit egotism, similarity, and interpersonal attraction. R. Dessler wrote many years ago that all love is self love (Kuntress Hachesed, Michtav M’Eliahu vol. 1, pp. 32-51, 140-145). We develop love from investing ourselves in others and what we love in them is the love, giving and effort that we invested. From the psychological perspective, you might say that the Sages preceded him by millenia in this insight and in understanding that names that we carry shape how we think of ourselves, because names are so closely related to who we think we are that we shape ourselves to conform to our names . Jones merely offers experimental evidence to support this contention. It's simple. A name that suggests a quality, a character trait, or an occupation, may lead its bearer to develop the same qualities within himself or herself. A kabbalist, of course, will interpret the associations reported by Jones differently. A kabbalist would say that the connection we see between names and choices are merely a reflection of the fact that things that have the same name stem from the same root. People, for example, tend to marry those with similar names because their names reflect something essential about their similarity, etc. Whichever way you explain it, this paper supports and explains the Sages belief that names "determine". Do we all have the same Torah? It is not uncommon for people to disagree on Torah topics and we are all familiar with this. It is a part of the background of aTorah life. However, it pays to ask, "Why?". Many of us have had the experience of encountering knowledgeable Torah learned people who not only hold different opinion than we on many matters but hold opinions so outrageous and so obviousely different from what we perceive the Torah to teach that it is hard to believe that we all belong to the same religion. This is not only true in many debates in halacha where one says that a thing is permitted and another that is forbidden and even esteemed authorities come to radically opposed conclusions. It is also so in regard to basic hashkafa where it is not uncommon to find that one group holds something to be good and desirable and another group views it to be bad and outside the pale. There are those who are convinced that Zionism is an authentic and indipensable Jewish teaching and others who view it as a betrayal of religion. Some consider secular studies to be essential and others shun them. There are opposing views on so many matters of practice and doctrine. Why is it so and shouldn't we attempt to understand it? On the practical level, one encounters people who believe that Torah requires them to fight with all possible means "for the sake of truth" and others who will compromise every esssential belief and practice for the "sake of peace". There are those who light fires because they argue that the Torah requires them to do so and others who work only thorough peaceful and pleasant ways and "turn away wrath". Though my sympathies lie with the latter and not the former, they also deserve to be understood - with respect, and not dismissed as psychologically or morally unbalanced. We know, of course, that machlokes exist and always existed. But why do we, in this generation and place, disagree so profoundly and with so much conviction on so many subjects? 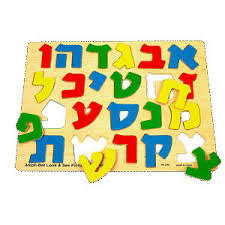 Chazal do say that there seventy faces to Torah ((Bamidbar Rabbah 13:15) or in other places, that there are fourty nine faces to Torah (Sofrim 16:5). Both statements might be true: the Gaon writes: " In the Torah there are seventy faces to the Orally transmitted Torah and 49 faces to the written Torah (Song of Songs 2:4). Another way to understand it is as per Pesikta Rabbati (21:4, see Eruvin 13b), where we read: R. Yanai said: The Torah which God gave to Mosheh included forty-nine arguments in favor of purity and forty-nine arguments in favor of impurity [on any given question]...[Mosheh] asked: "How should we rule?" - to which God answered: "If those who argue in favor of impurity are the majority, it is impure; if those who argue in favor of purity are the majority, it is pure." There is really no disagreement. In P'ninim mi'Shulchan ha'G'ro it says that the seventy souls that went down to Egypt correspond to the seventy 'faces' via which Torah can be expounded, and b. the total of forty-nine of the children of Leah (33, including her daughter Serach) and her maidservant Zilpah (16), correspond to the forty-nine 'faces' of Taharah, and forty-nine 'faces' of Tum'ah via which the Torah can be expounded (Gen. 46).This we can handle. So far so good. However, here is a statement from Shaar Hagilgulim of R. Chiam Vitalm Hakdomo 17, that at first glance one might call "outrageous". "Torah is the root of the souls of Israel for they were hewn out of it and rooted in it. This is why in the Torah there 600.000.00 explanations in pshat, 600.000.00 in derush, 600.00.00 in remez and 6000.00.00 in sod."... In the Future, each one will will achieve that explanation through which he was born...".The commentary Benei Aharon connects that second part of the statement to the Lurianic teaching that seventy "nitsosos" of Adam generate six hundred thousand souls. That explains the second part of what we quoted but how can one explain that every word and statement of the Torah can be explained in 600.000.00 different ways on the level of pshat. We can perhaps envision that derush and sod, even remez, can produce many differing explanations, but how can you generatesix hundred thousand explanations according to pshat? You can see how you can quickly work this up to 600.000.00 combinations with only a few different explanation as long as you are looking at a chapter of a group of verses. I would like to suggest something else. At the basis of it is the statement that "once a talmid chacham learns Torah, it becomes his, as it says, "for in the Torah of Hashem is his desire and his (own Torah he engages day and night (Tehillim 1) ( A"Z 19a). I used to explain this with a parable of a puzzzle or a mosaic. Imagine that an artist is given most of the pieces of a mosaic but not all the pieces and not the the overal plan. He would start by matching pieces and come out with some kind of a partial picture. He would then extrapolate and fill the missing pieces as well as he can, based on his own udnerstanding and imagination. In order to complete the picture, he will have to extrapolate from the partial picture to the overall image and then manufacture pieces to fill in what is missing. This is essentially what a talmid chacham does nowadays. We do have many pieces of the mosaic, but, through forgetfullness and loss, not all of them. Every scholar constructs his own version of what the entire picture must have looked like. Not surprisingly these reconstructions can look very differentlly. It is because of this that talmidei chochomim can disagree and diverge so greatly. This is a good explanation but it still does not fully explain why different scholars come out with different overall reconstructions of the original intent. The statement of Shaar Hagilgulim helps in this regard. As is now appreciated, words do not have a single meaning and many if not most words mean different things to different people. The more abstract a word or concept, the less do people share the same understanding ot it. To some people Love means control, to others abrogation of control and giving freedom and autonomy. Some view "spirituality" as self-abnegation, others as redemptive self -fulfillment and so on... This is especially true in Lashon Hakodesh. In other words, words have a whole range of different meanings and different people have slightly different, sometimes very different understandings of the same word. In fact it would not be wrong to say that there are 6000.000.00 different understandings of the same word or concept. In everyday communication we share enough agreement about the basic meaning of words to understand each other. However, once we go farther, to interpreting complex and complicated verbal structures, we begin to understand words and their applications very differently. There are six hundred thousand different souls and so, there are also that many ways to understand even a single word. We can now see that this kabbalistic teaching is not purely technical but, at its core, philosophical and practical. So, yes, we all have the same Torah but we do not all understand it the same - because each one draws an understanding according to his own soul-level. The Shaar Hagilgulim goes on to say that higher neshomos, ones that incorporate several different "roots' can possess multiple understandings at the same time. The ultimate in this regard was Moshe Rabbeinu, who was the source and encompassed all the six hundred thousand souls of Israel and could understand and contain all possible explanations. This is very important. I have seen men who had heroically torn themselves away from their families, communities and friends, who have gone thorugh incredible challenges to become frum and eidel yidden to then be brought down by the internet. I have seen respectable families destroyed by this evil. Christians have been dealing with this issue for years and now, B"H, there is a resource for Frum people as well.